Leave No Trace Ireland is a not-for-profit organisation made up of member organisations with a shared interest in encouraging responsible enjoyment of Ireland’s natural environment. Our mission is to promote and inspire responsible outdoor recreation through education, research and partnership throughout the island of Ireland. Leave No Trace Ireland training is delivered at various levels, including Awareness Sessions, Trainer Courses and Advanced Trainer Courses. The Leave No Trace message has been adopted by many organisations including government departments, state agencies, national governing bodies of sport, education and training organisations and a range of tourism businesses. It is this broad adoption and promotion that gives the message its strength, together with the fact that the educational principles are all positive in nature and based on sound science. Leave No Trace Ireland is affiliated with the Leave No Trace Centre for Outdoor Ethics, America. 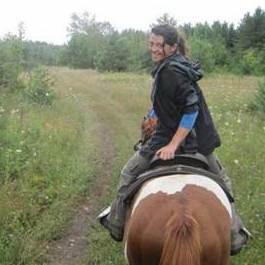 Kate Egan is an Environmental education consultant. After completing a degree in Applied Ecology from University College Cork and a Masters in Environmental Education and Communication from Royal Roads University she has gone on to work with many Irish environmental charities and government organisations. Kate has developed education programmes for the Wicklow Mountains National Park, the Irish Wildlife Trust, Doneraile Park, P.U.R.E, Presentation Ireland and many more. Currently she is working with Leave No Trace Ireland on the European IMPRINT + Project and with Coillte Compass Club on their outdoor education programme. In addition she manages An Ghrian Glas Organic Farm in Westmeath and is co founder of Environmental Education Ireland and online network group for educators and runs the Festival of Outdoor Learning each Year in Ireland. Maura is a graduate of Science, University College Cork. Additionally, Maura holds a Master’s in Communications from DIT, Aungier Street, Dublin and a BSc in Psychology from University of Glasgow. Maura is a Leave No Trace Advanced Trainer and also holds outdoor advanced qualifications as a Skipper, Advanced Whitewater guide, Surf coach, Beach lifeguard, Climbing and Mountaineering guide and many more. Maura worked overseas for Enterprise Ireland, Northern European team within the Environmental sector. Her role as Market Advisor included development of growth strategies for High Potential Start Up companies primarily through the co-ordination of Irish Presidential and Ministerial Trade Missions to the Northern European Region. Maura also worked with Fáilte Ireland in September 2012 as a member of Fáilte Ireland's West Region in assisting Irish tourism trade clients with their commercial sales strategy and operations. Maura has been awarded for her efforts in innovation at the UCC entrepreneur Awards as well by her volunteer efforts as “Volunteer Citizen of the year” by the President of Ireland. 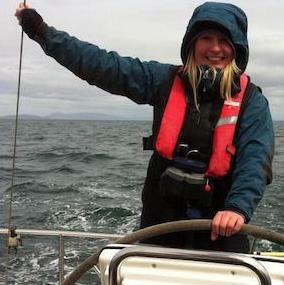 Maura currently serves in a voluntary capacity on The Blueway Steering Group. Maura believes that relationships, exercise, career, and spirituality are as important to your health as the food you eat and encourages a holistic approach to a positive work ethic. She enjoys empowering people to be their happiest healthiest self. Maura is passionate about continuous self-improvement; she is currently undertaking a fellowship in this area, she undertakes regular mentoring and coaching and enjoys discovering new tools that are available for optimum health and wellness. Maura also knows how important nature – particularly water has in our overall well-being, she builds nature connection through watersports into her everyday life.